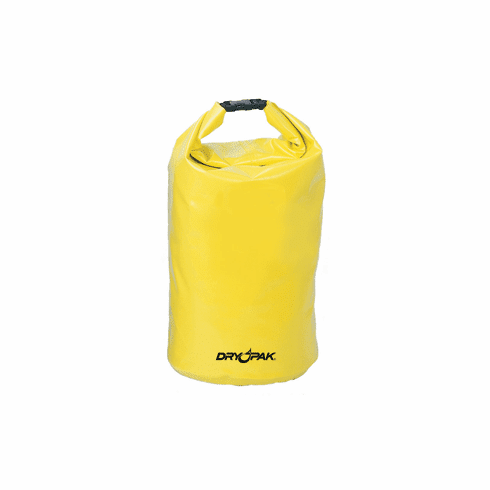 Dry Pak Roll Top Dry Gear Bag (Yellow) - 9-1/2" x 16" Miami Fishing Supply, complete selection of offshore fishing tackle, marine electronics and boat supplies. Home | Tackle Boxes, Lure Bags & Rod Cases | Waterproof Bags and Cases | Dry Pak Roll Top Dry Gear Bag 9-1/2" x 16"
Home | Marine Shop - Boating Accessories | Waterproof Bags and Cases | Dry Pak Roll Top Dry Gear Bag 9-1/2" x 16"
Dry Pak Roll Top Dry Gear Bag 9-1/2" x 16"
Versatile and durable, your gear will stay dry inside these round bottom dry bags, even in adverse conditions. Shut out water by rolling down the top a few times and snapping the side release buckles together. The yellow and blue bags are constructed of extra heavy-duty vinyl /polyester tri-laminate with RF-welded seams. Its quick and easy to find items inside the clear bags, made of durable waterproof 19 oz. vinyl with RF-welded seams. Great for power boats, sail boats, personal watercraft, kayaks, canoes, camping, motorcycles, ATVs, snowmobiles and car top luggage racks too!